Registration Opens November 12, 2018. Ticket prices & point of purchase vary by location. Ask your site director for details pertaining to ticket purchases. Location: Westminster Hall at The Village Presbyterian Church, 1300 Shermer Rd, Northbrook, IL 60062. Map & Directions. Parking: Click for info HERE. Location: AMP, located at Pike and Rose, 11810 Grand Park Avenue, North Bethesda, MD 20852. Map & Directions. Location: Jammin Java, located at 227 Maple Ave E, Vienna, VA 22180. Map & Directions. Parking: Available in front of venue. Location: Jammin Java, located at 227 Maple Ave E Vienna, VA 22180. Map & Directions. All bands may perform up to the allotted time or number of songs allocated to them by their teacher. Every child must be present and arrive at their specified time. Bands that are not present when called will not be able to perform. Bands missing a member will have the option to perform without that member or forfeit their opportunity to perform. No exceptions! All performing band members must be enrolled and in good standing in the B2R Rock Band program at the time of both registration and the Bachapalooza event. All participating band members MUST submit a completed registration form by the specified deadlines. No late registrations will be accepted. If a member of the band cannot participate, the band may perform without that member, or replace with another B2R student that is in good standing in the B2R Rock Band program or B2R teacher. All band members are expected to follow student conduct rules as outlined in the B2R Policy Handbook. Order of bands will be picked at random, please do not request a specific time as we cannot accommodate. I hereby give Music Makers, LLC (d.b.a. Bach To Rock), their legal representatives and assigns, the absolute right and unrestricted permission to obtain, copyright use, publish and reuse and republish photographic pictures, recordings, videos or portraits made of my child, in any media and for the purposes of advertising, promoting and increasing awareness of Music Makers, LLC. I release and agree to save harmless the schools and the photographer, their representatives and assigns, acting with their permission, including any firm publishing or distributing the finished product for the purpose noted in paragraph one, above, even though the finished product may be distorted, blurred, altered, or used in composite form, either intentionally, or otherwise. I waive any right to approve the finished photograph or any copy which might be used in conjunction with the finished photograph, recording, or video. 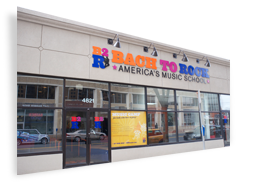 Please be advised that on the dates of the Bachapalooza event, representatives of Bach to Rock/Music Makers, LLC will be filming at the venue. As a willing participant at this event, your appearance may be recorded and used in future video productions which may or may not include television broadcasts or other public exhibitions. B2R is not liable for any personal injury, or property damage arising as a result of child’s participation in the Bachapalooza event. I have read and understand attached rules and regulations. I understand that failure to comply may result in exclusion of the band from the event.